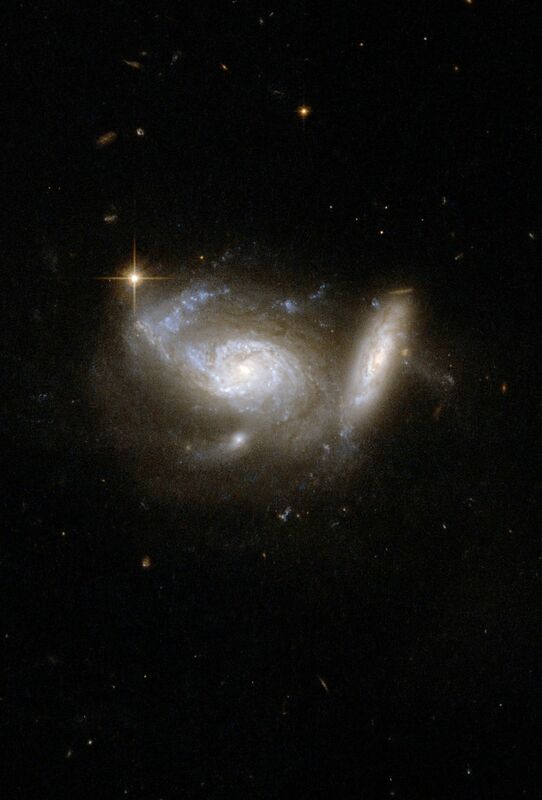 ESO 550-2 shows a pair of spiral galaxies, the larger nearly face-on and accompanied by a smaller, highly tilted partner. Tidal interaction from the smaller companion has clearly deformed one arm of the larger galaxy. Strong star formation continues both in the deformed arm and in a ring structure around the galaxy's core. The pair is surrounded by the glow of faintly shining stars and interstellar matter that has been smeared through space by the gravitational effects of the collision and the pull of a third nearby galaxy.